The house was really nice, with a balcony and a view on the sea. Delicious homemade breakfast served in our house, different everyday ! Hosts were extremely friendly, helpful and accessible when needed. Daily cleaning with clean towels highly appreciated. Location is good, not far from Agia Anna beach, one of the best ones in Naxos. Sophi and her daughter are so kind and ready to help you with anything! I loved their reception and how they left fresh fruit to me. They came to pick me up at the port and helped me out to go back. Sophia is an amazing host and attends to your every need promptly. Really enjoyed the peace and quiet of the area, proximity to he beach and pick and drop off airport service provided. 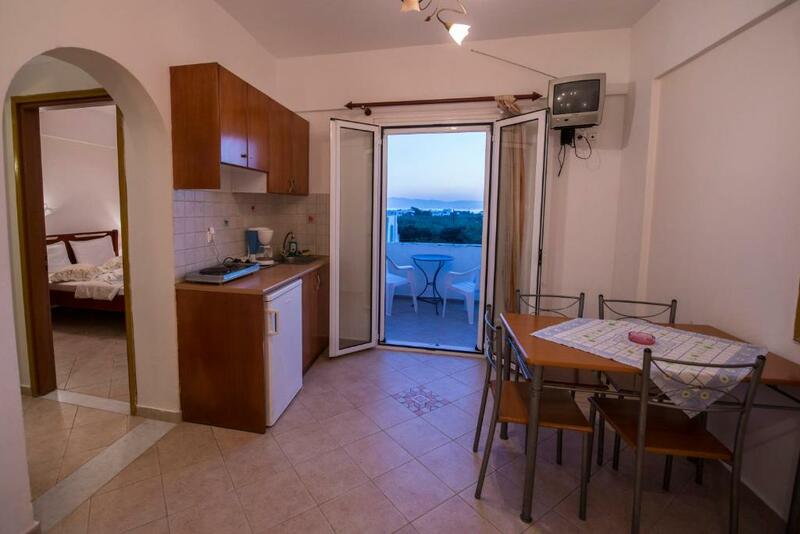 Quiet place yet close to the beach, supermarkets and bus stop. Sophi and her daughter were really nice and welcoming. They were very concerned about our stay and whether we had everything and so on. Thanks for everything! Lock in a great price for Sophi's L Studios & Apartments – rated 9.5 by recent guests! 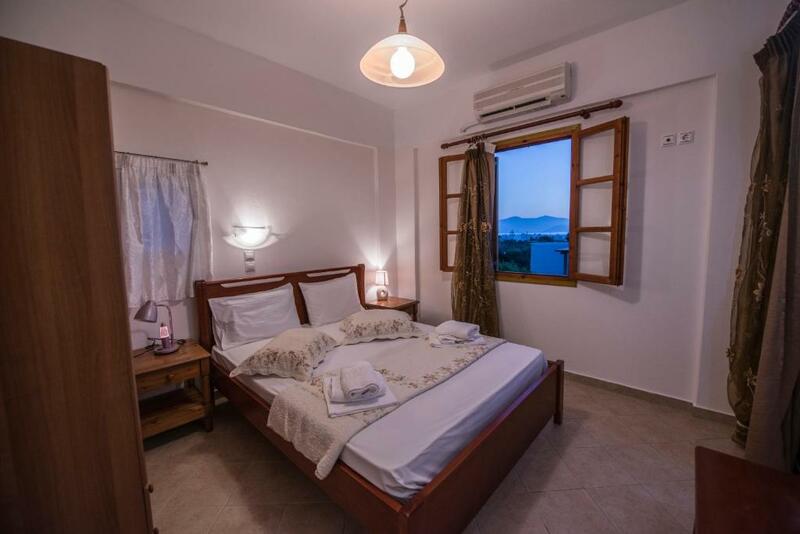 Quietly located 500 feet away from the sandy beach of Agia Anna, Sophi’s Studios & Apartments is a characteristic Cycladic-style complex offering self-catering accommodations with a private, furnished terrace or balcony. Studios and apartments at Sophi’s are air conditioned and simply furnished. They include a kitchenette where guests can prepare their own meals. All units are fitted with a TV and a private bathroom with shower. Some also enjoy a sea view. Within 656 feet, guests can find traditional taverns and beach bars. The surrounding area is suitable for biking and jogging. The property offers bike storage on site. The beach of Agios Prokopios is 800 feet away and Plaka Beach is 1,000 feet away. The main town and port of Naxos are at 3.1 mi. Naxos Airport is 1.6 mi away. Port and airport transfer is offered upon request and at extra charge. Sophi’s also provides free Wi-Fi access in its public areas. This is our guests' favorite part of Agia Anna Naxos, according to independent reviews. 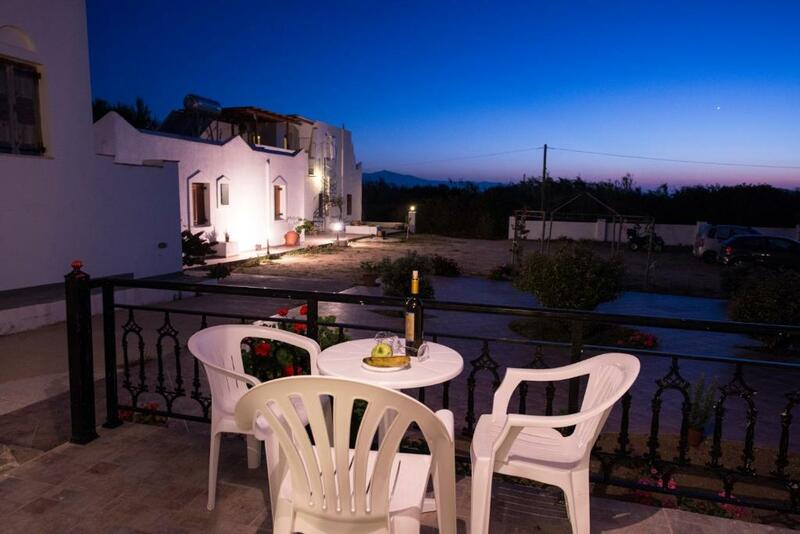 This property is also rated for the best value in Agia Anna Naxos! Guests are getting more for their money when compared to other properties in this city. 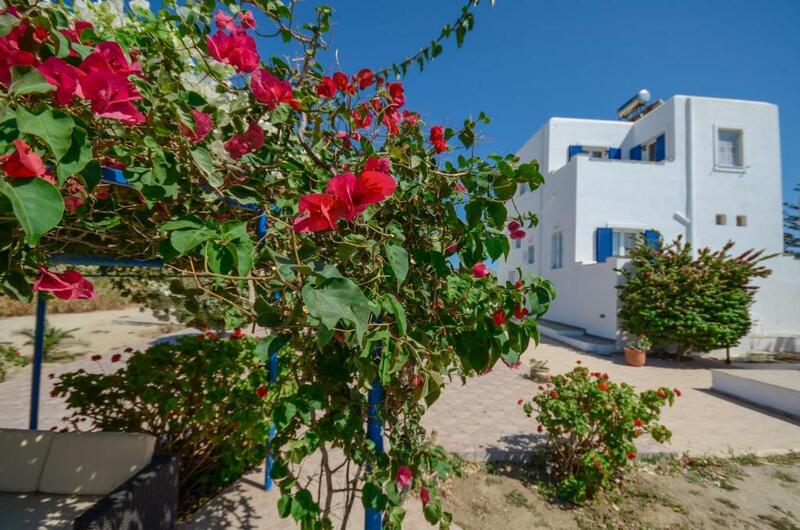 뀐 Located in the top-rated area in Agia Anna Naxos, this property has an excellent location score of 9.1! When would you like to stay at Sophi's L Studios & Apartments? This studio can accommodate 1 person. House Rules Sophi's L Studios & Apartments takes special requests – add in the next step! Up to three children under 6 years are charged EUR 5 per night when using existing beds. Sophi&#39;s L Studios &amp; Apartments accepts these cards and reserves the right to temporarily hold an amount prior to arrival. Sophi's L Studios & Apartments accepts these cards and reserves the right to temporarily hold an amount prior to arrival. Please inform Sophi's L Studios & Apartments of your expected arrival time in advance. You can use the Special Requests box when booking, or contact the property directly using the contact details in your confirmation. I really like staying at Sophi's. She picked me up from the port the day I came though it was almost midnight. She also brought me to the airport when I left. Sophi is a very nice and gentle lady who I liked right away. I had the little apartment which fully met all my expectations. It has a kitchen, a bathroom, a larger and smaler bet, a TV and even a little patio. Sophi always cleaned my apartment when I was gone for the day, so I always hat a clean apartment when I came back. 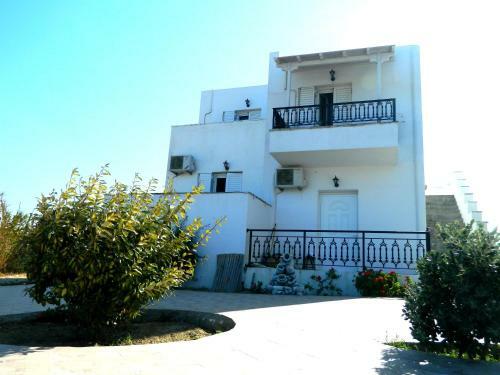 The building is located in the tourist village of Agia Anna, which is about 5 km from Chora/Naxos town. I rented a bike. That way I didn't need to take the bus, which goes to Chora every 30 mins in high season. The bike also allowed me to discover the island riding my bike. It was a great experience. But be aware that you need good legs when you want to go into the mountains. The building is located in a very quite part of Agia Anna surrounded by farm land. Still it's only a five minute walk to the beach where you can also find very good restaurants. You have to enjoy the fresh fish there. I was there in October which is the end of the season. It was still nice and warm all day, though always a little windy. What I really liked was the fact that they weren't many people in the village nor at the beach. All in all it I had a super nice vacation on Naxos which is a beautiful island to discover. And Sophi is the perfect host for that. I will surely come back on day. Thank you Sophi! Value for money suffered a bit - maybe due to the fact we booked late (around 30d before start of vacations), when supply was smaller. This place was very lovely. The hosts were very friendly and gave us advices for sightseeing/beaches/restaurants. Our studio was amazing. It offered everything we might need, the service was incredible! The beach and supermarket was close to the stay. When we come back to Naxos we know where to stay! Great place I wish I stayed longer. The staff were fantastic, picked me up from the port, let me arrange an early check in and late check out. Very welcoming and helpful. Large comfortable apartment. Great view from the balcony. 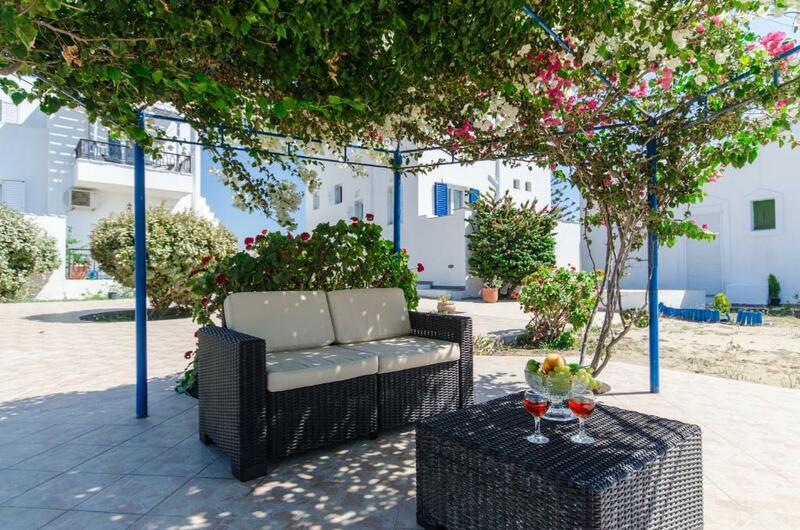 Well located a short walk from beach and restaurants in a quiet street. This is the perfect Greece. Sophie and her daughter are so friendly and helpful - collected us and brought us back from the ferry. Looked after us so well, room lovely cleaned daily and a fabulous view. In a lovely quiet area yet only 4 mins walk to the beach,shop, restaurants.